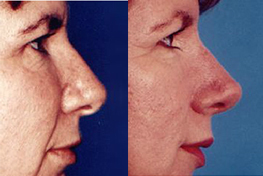 The external shape of the nose is created by the relationship of skin, bone and cartilage which make up the anatomy of the nose. To change the shape of the nose, your surgeon will alter the shape of the bone and cartilage underlying the skin with carving, suturing and removal of excessive structures. The skin will then be redraped over the altered internal anatomy at the conclusion of your rhinoplasty procedure to create the new look. 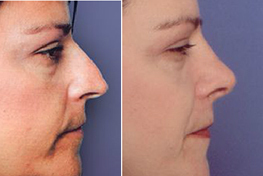 To identify the aesthetic goals of the surgery and to ensure that the result will reflect the best shape for you, Dr. Samuels will study the relationship of the nose to other facial features, especially the lip and chin. 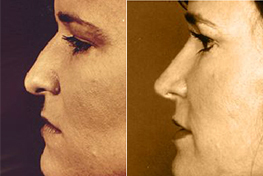 The chin may need to be altered in some cases to achieve the best proportion and balance. You will be given the opportunity to view the anticipated changes to the nose through computer imaging at a second office visit. The surgery is performed at The Plastic and Aesthetic Surgery Center at Jewish Hospital or Baptist Hospital East with one overnight stay. 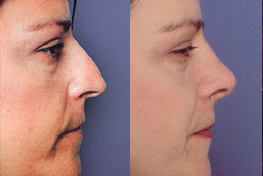 The new nasal contours will be appreciated within several weeks, but the final result is evident in several months.